Every parent today is busy with their lives, profession, social activities, etc and the children are equally busy with their studies, sports and extra-curricular activities. Living in a campsite and sleeping in a tent is a sure way to get everyone together in close proximity. It facilitates the family to explore new activities which would not be possible at home. Every event and chore becomes a family affair and everyone chips in with their bit. 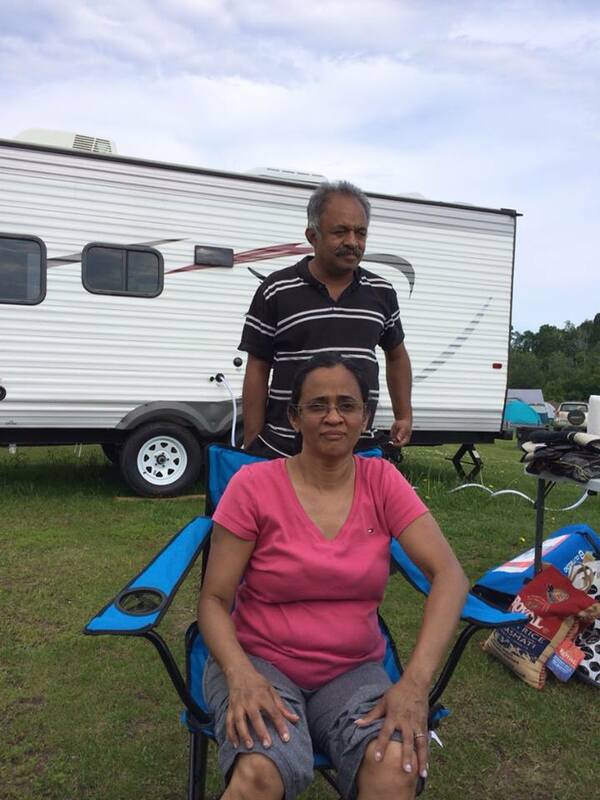 Camping ensures that the family works together to setup the tents, cook and serve the meals, clean up after every event, fetching water, collecting firewood, starting up a campfire, etc. The activities like hiking, fishing, roasting marshmallows, star gazing, exploring, storytelling and singing around the campfire, and that too with the children away from their computers and without a cell phone in their hands is indeed a great achievement. Research all over the world has proved that children who experience nature are happier, healthier and also helps with cognitive development. It is amazing to note that only 20% of the children of today can climb trees. They surely know more about their cartoon characters, movie superstars and their favourite sport hero than they know about wildlife, plants and nature. 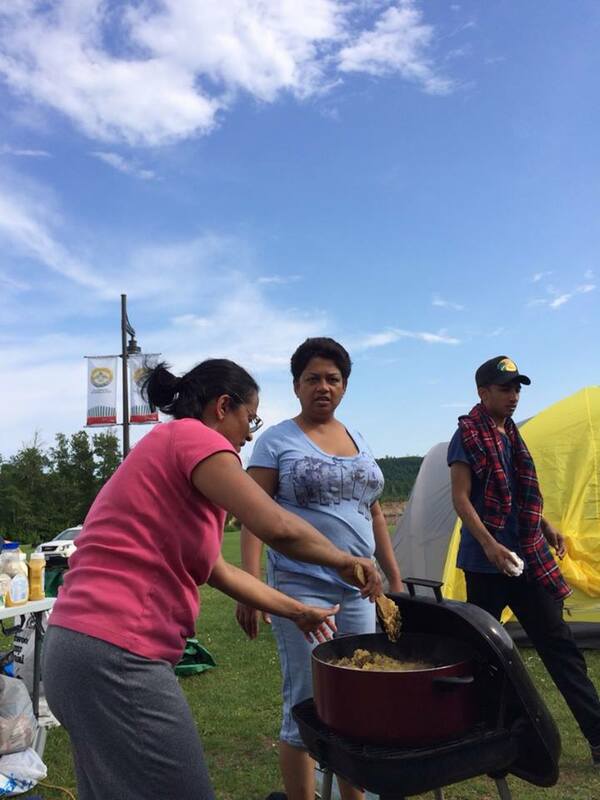 We reached the camp site at Fort William Historical Park, Thunder Bay at 2 PM on 27 June 2015. Located on Lake Superior, Fort William became the key midway transshipment point and a trading post for the French located at Montreal. The aboriginals paddling from the West carrying precious furs bartered with the French coming from the East bearing valuable trade goods and supplies. The treaties that followed the American Revolution (1776 – 1783) banned the Montreal traders from entering the area South of the Great Lakes. From 1804 then until its own absorption by the Hudson’s Bay Company (British) in 1821, the North West Company (French) exercised a virtual monopoly of all trade into the North-West directed from Montreal. As the company’s inland headquarters, Fort William became the pivotal point in a vast fur trading empire. In 1821, the Hudson Bay Company closed down the Fort William trading post as they were focused on the fur trade from the North-West of the Great Lakes, to the Arctic. Being the first camp, we booked a site with amenities like electric power, water and washrooms. The camp ground caters for about 250 sites and there were many spots already occupied by tents, RVs, campervans and caravans. Each site had a picnic table, a fire ring for campfire, a water tap, an electric outlet and adequate space to pitch about three tents. The first task was to unload the van and pitch the fly-proof tent around the picnic table. The fly-proof tent is of 10’x10′ size with a canopy and a zipped up net cover all around, thus making it fly proof. This tent effectively covers a picnic table. These tables are placed in all the camping grounds and parks of Canada and are of standard size of 8’x6′. The outdoors in Canada in the wilderness is famous for the bugs and mosquitoes. They would any day beat the ones of Meerut and Kochi. With some assistance, the children managed to set up the tent in about 20 minutes. By then Marina had started cooking Mutton Biryani. She had marinated the meat and had frozen it the day before and carried it in the ice-box. The children then proceeded to set up the living tents. The tents are made of water-resistant fabric and has a cabin-like design that includes a hinged door and angled windows that keep rain out even when they are open. The tents are much lighter, easy to carry, more comfortable, water and wind proof and easy to pitch when compared to the ones we had in the Indian Army. The first tent was pitched in 25 minutes and the second in 20 minutes. Everyone felt that they achieved something and were tired and hungry. That was when Marina served her Biryani and not a morsel was left. It is sure that the children will eat more while outdoors and working hard. After a hard days labour, sumptuous lunch and tired from travelling for about 15 hours, everyone retired into their tents for a well deserved siesta. By 6 PM the girls had prepared the evening tea and after tea everyone had a refreshing bath. At that time there was a big group which arrived to camp. It was a marriage party. The bride, the groom, the best man, the maids, guests – all had arrived with their tents and were busy pitching it. After an hour, they all got dressed and moved to the banquet hall of the centre for the wedding. It seems the bride and the groom met first at a camp and wanted to celebrate their wedding at a camp. The evening begun with setting up of campfire. There was the usual barbeque of chicken and pork by me and the ladies laid out the salads. The camp area came alive with the music from the banquet hall and accompanied by the swarming bugs and mosquitoes. Everyone sat around the campfire and the children got busy with the roasting of marshmallows, storytelling and singing. In the evening Joseph and I decided that we must move to a tougher camp site as the children have got adjusted to the camp life. In hindsight, it appeared a wise decision to select the first site with basic amenities to put the children through the drill of setting up a camp. After passing instructions to all that after breakfast, we would up stick from the present location and move into a new campsite, deep in the woods in the Lake Superior Conservation area near Wawa, the parents retired to bed and the teenagers as usual continued into the early hours of morning with their usual activities. Do not over-pack, especially food items. Carry the least and in case you need more, you can always buy them fresh from the local stores. Be prepared to cope with inconvenience, especially washrooms, The parents must lead by example with a positive can-do attitude. Organize the camp well. Fix locations for important items like forks, spoons, knives, tissue rolls, etc. Brief every member – adults and children about the layout of the camp site. There is every possibility of someone losing their way at night, especially after a visit to the washroom. Ensure that all children are involved in meaningful camp chores, such as gathering firewood, collecting water from the tap, etc. Teach the campers about the knots, hitches and lashings as it would save a lot of time in tent pitching. Pitch the tent in your backyard the previous weekend. This will teach the campers about tent pitching, managing space inside the tent, entry and exit without letting insects in. U r a terrific narrator!! Must read for all those who wish to venture out!! Shall wait for the next episode where the going will definitely gets tough but wecall will be wiser …..after reading !